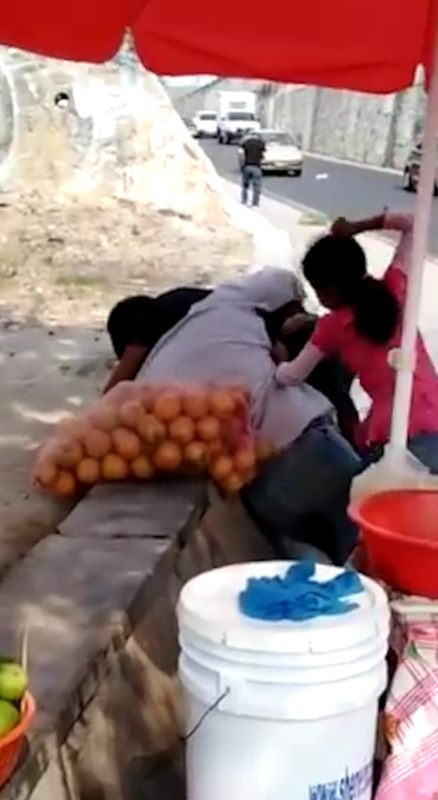 This is the moment a father and daughter gang up on a fruit seller and stamp on his head after moves to have the family booted from the area. 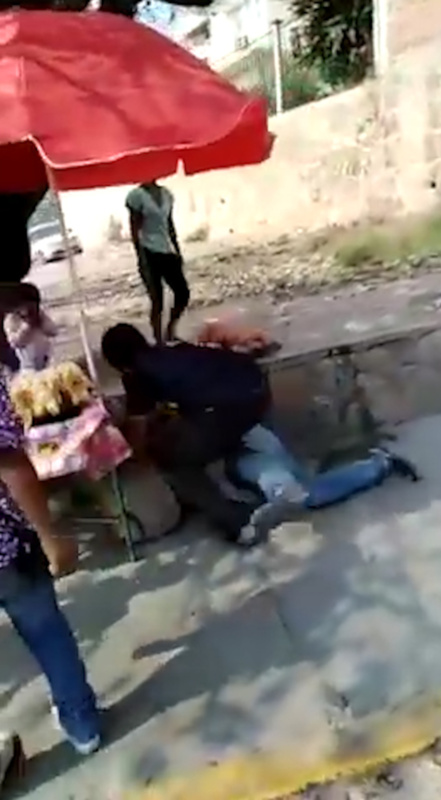 In the video, a man in a dark shirt, reportedly from Honduras, can be seen grappling with a Mexican fruit seller, in a light shirt, next to a fruit stall. 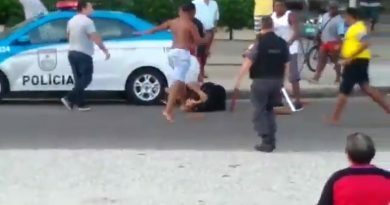 One of the Honduran man’s daughters is hitting the Mexican man who is eventually knocked to the ground as a crying toddler looks on. 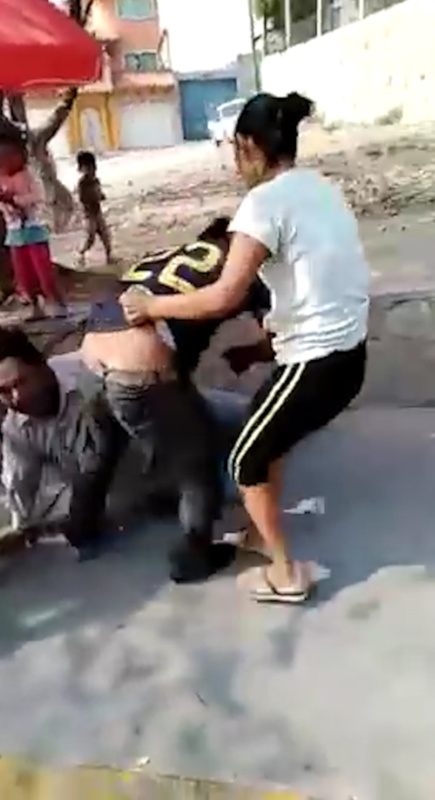 The Honduran man’s wife, in a green top and black shorts, then appears to try and stop her husband from continuing the beating but he then stamps on the Mexican man’s face. 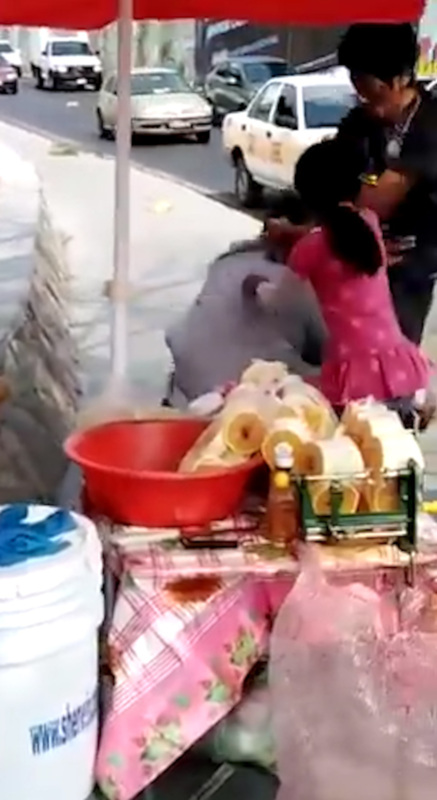 The fruit seller’s wife then rushes in and pushes the Honduran man to try and help her husband but the Honduran’s daughter then pulls her hair. All five people involved begin grappling as the onlooking toddler cries. Local media report a Honduran family had attacked the Mexican street seller because the mother of the Mexican family had been gathering signatures to have the Honduran family removed from the Cueva del Tigre migrant settlement in the city. The Honduran family was known for causing problems in the area, according to local media reports. 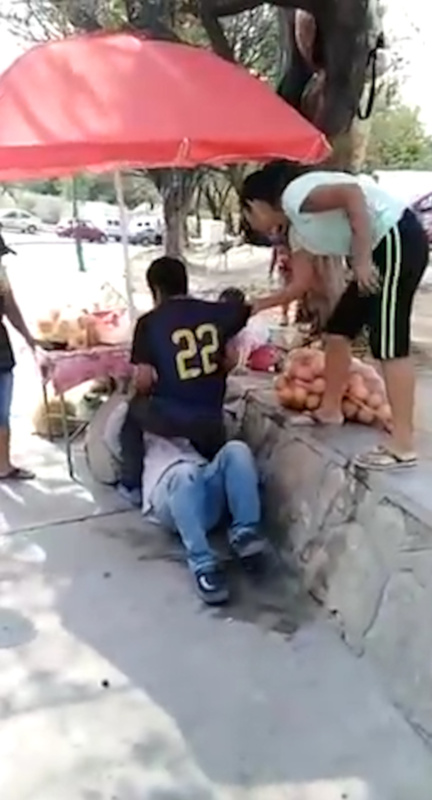 The incident took place in the city of Tuxtla Gutierrez, in the southern Mexican state of Chiapas and was recorded by onlookers and shared on social media. The Mexican man eventually gets to his feet with his shirt ripped as the Honduran family appear to walk away. It is not known if the case has been reported to the authorities.